In the second half of 2015, the Eastern, the South-Eastern European and the Balkan countries caused an overwhelming number of headlines when it comes to migration. Hundreds of thousands of migrants/refugees from the Middle East made their way to the West through Greece, Macedonia and Serbia, as well as Bulgaria, Croatia and Slovenia. 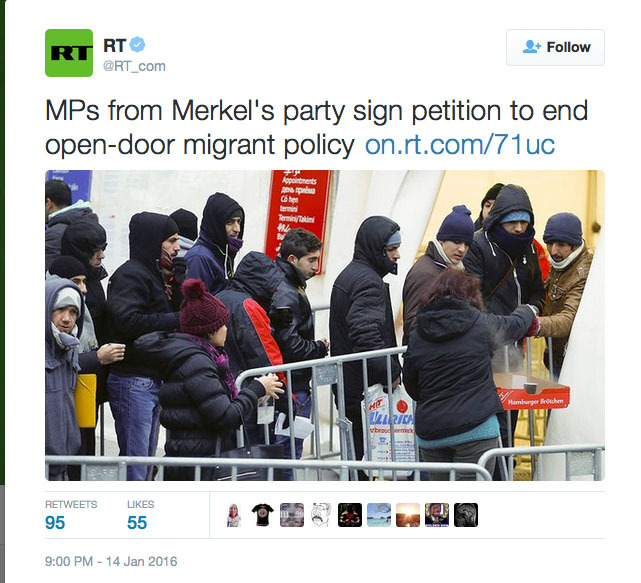 All this fueled by the “welcome all, come to Germany” message trumpeted by German Chancellor Angela Merkel. For Croatia and all other countries in the East/South Europe region, regardless of whether an EU member state or not and given the evident rush of these migrants/refugees to reach their desired destination in Germany and the West of Europe, providing for a smooth and orderly passage was not an easy task by any stretch of imagination. The refugees were nevertheless assisted through in the direction of Austria and Germany. To a large extent, governments along the so-called Balkan route, including Croatia, recognised the problem too late and were largely unprepared for the influx but as weeks rolled by the countries en route to Austria, Germany and the rest of the desired destinations became more organised, set up temporary refugee camps, made available trains and buses (and private taxis hurled along to earn a buck) that would transport the refugees to the border of the next country. 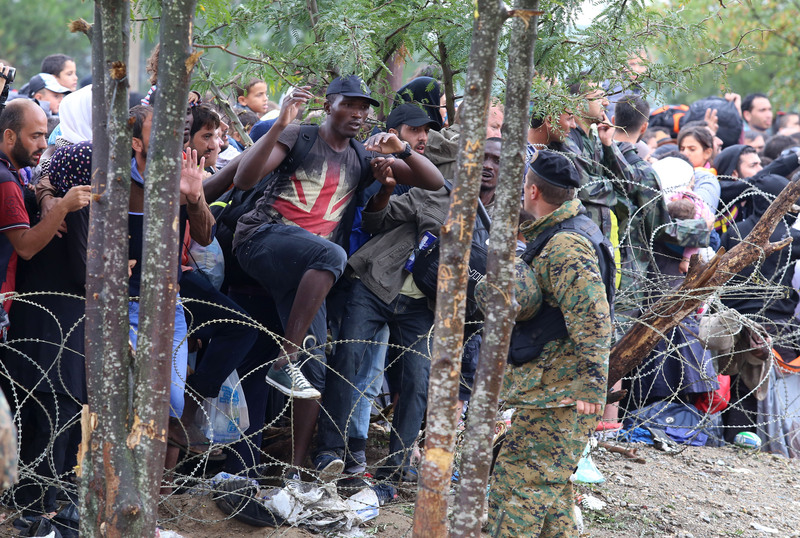 The EU quota system by which each member state was supposed to take in a certain number of refugees caused resentment in the region and some countries, like Hungary, swiftly raised border fences including razor-wire ones to stop and divert the masses stampeding in. 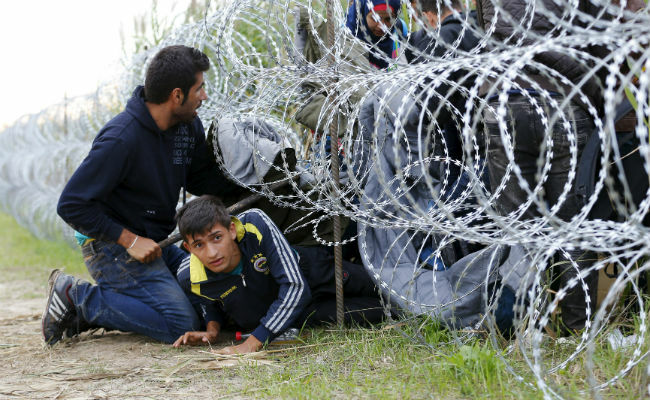 Slovenia followed Hungary and raised the fences on border between it and Croatia; Hungary and Slovenia said they would protect the Schengen border from the influx of the people escaping the Middle East or North Africa any which way. The massive movements of migrants through and from the Balkans have forcefully shifted the issue of EU external borders into focus. The EU has tried to avoid this topic for more than a decade but time is running out for addressing it if it wants to get the waves of refugees under control. The enormous by number refugee and migration movements of 2015 are likely to increase in 2016, once Spring comes (although deep winter and snowfalls cover the region at this moment, thousands of refugees/migrants are still making their way from Turkey, across Greece and along the so-called Balkan route) the numbers are likely to increase to perhaps unmanageable proportions. This would seem a logical conclusion and prediction to make given the widespread hunger and devastation in the Middle East, particularly Syria and Iraq, resulting from the Islamic State terrorists but also their opposition. The mass migration into Europe from the Middle East has a security aspect inasmuch as religious radicalisation in the Muslim societies of the region poses a potential risk for the affected countries and for the whole of Europe. 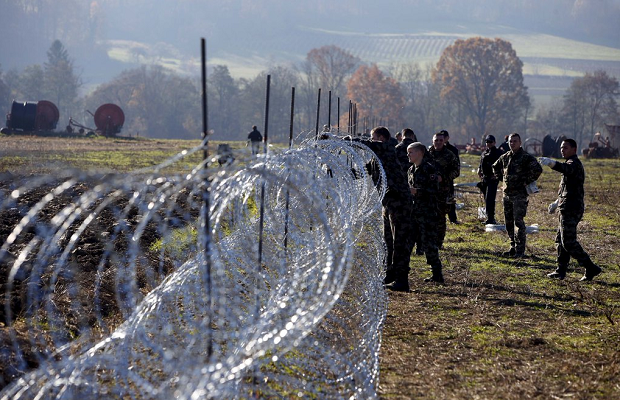 “Not only the EU, but NATO also needs to protect its borders in the Balkans. In 2015, NATO members Romania and Bulgaria repeatedly warned that the Ukraine conflict had put them in a potentially very dangerous situation. Both countries joined the sanctions against Russia, while Bucharest and Moscow also have tensions over Moldova. The geopolitical and energy-policy aspirations of the Kremlin in the region must be taken very seriously. On the one hand we have a country like Serbia, which is in a strategic partnership with Russia, and on the other Montenegro, which has just received an invitation to join NATO,” writes Deutsche Welle. With her popularity and political longevity seriously and consistently being eroded German Chancellor Angela Merkel has during the past week increased her rhetoric on tough measures in Germany that would reduce the number of refugees/migrants coming in, tighten Germany’s border controls, increase the number of those being deported or sent back to the countries along the so-called Balkan route (which includes Croatia) and hasten the asylum seeking process as well as time to be taken to whisk or deport those who are found not to be genuine asylum seekers. On January 15 Slovenia’s Prime Minister met the German Chancellor, Angela Merkel in Berlin, mainly to discuss the migration issue in Europe, says on the government of Slovenia Internet portal. Loud and clear messages coming out of Slovenia in the past days include the resolve in Slovenia to drastically reduce the number of refugees/migrants entering Slovenia if Austria and Germany restrict their intake of migrants. Indeed, the awful statistics of sexual abuse and violence reportedly perpetrated against German women by men many of who are said to be refugees and asylum seekers during the past weeks has raised and intensified the political and civic activities that would see tighter controls of migrants as well as reduction in numbers that will be received in Western Europe. Raised level of fear that it will become impossibly and alarmingly clogged up with new refugees/migrants as well as those sent back from Germany, Austria, Slovenia is surfacing across Croatia and it would seem that such fear is justified. There is more talk about control and reduction of refugees/migrants across Europe than what there is about compassion. Of course, the often reported incidents of refugees/migrants acting as if they are entitled to a comfortable living in countries they have arrived in does not do much to alleviate the intensely felt lack of compassion towards those running from certain death or starvation. More importantly for Croatia, Slovenia’s Prime Minister Miro Cerar’s visit to Berlin last week seems to be heralding an erection of an even more forbidding wall between Croatia and Slovenia than what razor-wire fencing represents. Would this leave Croatia as a distressing bottleneck in the passage of refugees/migrants to the West is anybody’s guess but certainly the recently seen resolve to reach a European country of choice in the people fleeing the Middle East would strongly suggest that there is no strong enough barrier, bar waging an armed war against the refugees/migrants, that could stop these people reaching the West. Furthermore, would this mean that the EU discriminates between its member states by excluding Croatia from increased measures to control the refugee/migrant influx just because Croatia is not yet a member state of the Schengen EU area? Even further, would this mean that Croatia itself will need to protect its own sanity and ability to cope with the influx of refugees/migrants, registering them and checking their identification papers, by erecting razor-wire fences, putting police at the border with Serbia and Bosnia and Herzegovina in order to control the influx? The EU commission keeps releasing phrases and fears that passport-free travel area, the Schengen Zone, was under threat that is directly associated with the refugee/migrant crisis. More and more member states have reintroducing border controls in response to migrant movements, including Germany, Sweden, Denmark, Hungary and Austria and now Slovenia is making loud noises in aid of such a prospect. 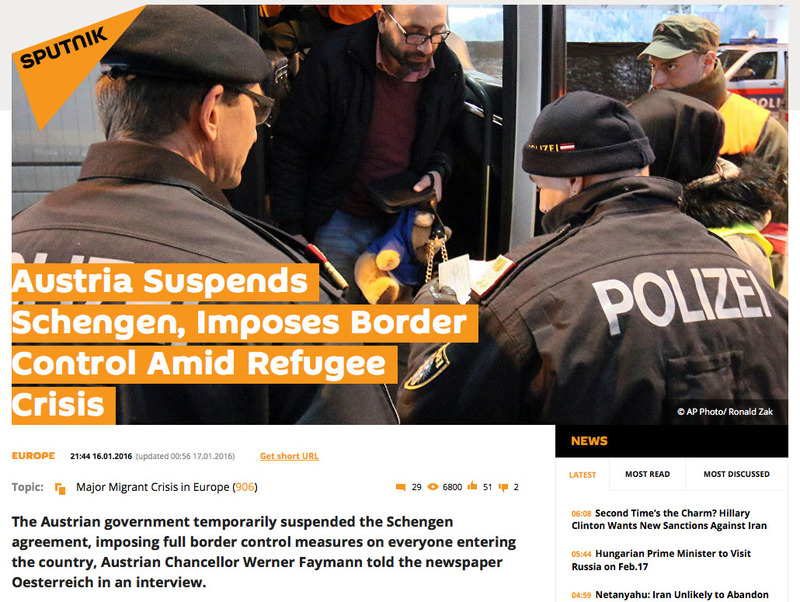 If Schengen collapses the collapse will be the beginning of the end of the European project. The European Commission is reportedly working on measures to create a more sustainable migration system. The steps would include financial assistance, a revision of the blue card immigration system and a new plan for resettling asylum seekers. The Commission is said to release its proposals in March 2016. Of course—-That’s what our President Kolinda Grabar Kitarovć said in September 2015. but insane and incompetent Prime minister Zoran Milanović (and his assistants Ranko Ostojić and Vesna Pusić) insisted on open door for refugees policy..They stated Croatia will not build fences nor bring army on it’s borders because it is inhumane and not physically possible…We can only hope that Mr Tihomir Orešković and our president of the Republic Kolinda Grabar Kitarović will be on time….. I can see it being a big mess for Croatia. 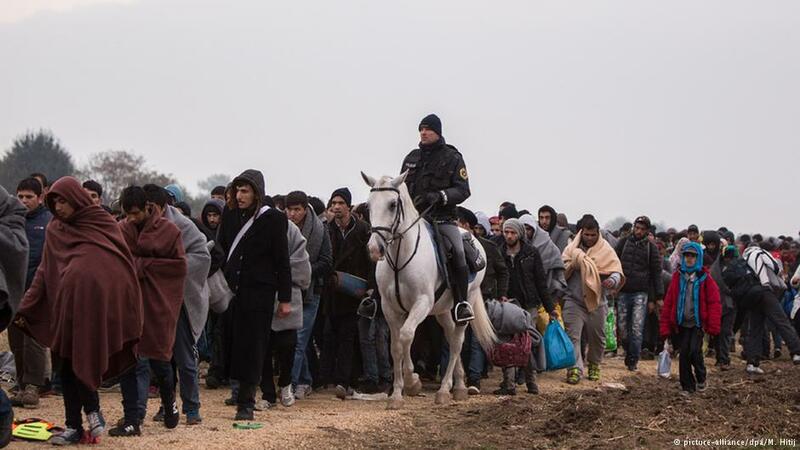 Germany etc close their borders, where will these people stay but Croatia or wherever they end up last. I can’t see it being any good that’s for sure. Hope I’m wrong though! Some politicians miscalculated the supply and demand, if they calculated it at all. Your post ignited a ponder on how removed North America is from the reality of this crisis.In Canada the Trudeau government committed to allowing 25,000 refugees to enter. In America, right wing hysterics finds 32 States refusing to accept refugees.North Americans haven’t the slightest concept of the magnitude and implications existing in Europe. Thank you for posting. You had Australia to follow! We have more dangerous seas – bigger distances – 22,000 km border. Yet we stopped it stone dead. No one has made it for two years. Under a UN approved regime thousands died! We don’t follow those bastards now! You Europeans have killed 5,500 at least! Probably 10 times that amount because of your Individual and Collective failures. They would not come if they thought you would NOT let them in! Two Australian governments separated by a EU like murderous regime – stopped the boats. Both times it went from flood to nothing in a matter of a couple of weeks. Man Up! Close your borders! Hire a 747 and repatriate. They’ll never bother you again. Frank You are not keeping in account the refuge keep outside AU that had been killed, keep worse that war prisoner, molested and keep them illegally as most are real genuine refuge. The one arrived by boats are the minority of refuge here. Australia had allowed in with visa, granted by minister, of criminal like Italian camorristi, that are still here after been exposed by TV state media! So Immigrant criminals are in with many Islamic overseas teacher that are not refuge. Instead genuine refuge are keep out because of political choice . What about AU policy silent of West Papua Guinea atrocity by our friendly Indonesia? Before blaming other even is correct we should also see our failure. The policy to stop the boats had been in some way effective even is not in line with human international right: as had stop the flow and drowned of many, Stopping refugees is impossible without breaking internationally recognise human right. At the same time is EU or AU capable to help a so mass migration? Look like that is a big challenger and cost. Thanks for sharing your perspective on such a challenging issue. As a Christian, I’ve been wrestling with how to best respond. It is nice to know what is actually happening before coming to a conclusion. Well written article Mrs Ina and some will agree or not but is very hard to all peoples and politicians to balance our credo-human desire to help other and at the same time not been subjugate or undermine our society by massive immigration.Peoples in EU are struggle but how Libanese, Jordan, Turkey should said that had so many refuge there? The EU bigger problem is also that the majority of refuge are of Islamic-culture that is not missing well with the freedom of people in EU and Christianity and Judaism that are massacre in the refuge’s countries. The male that are abusing women in EU were Muslim’s population had increase is a fact of consent to all who want help refuge. The solution maybe from EU is to step up and use force to stop the crime like in Syria, Iraq, Africa were Islamic extremist had cause the economical disaster and exodus by the imposition of the strike cult. You dear ina had avoid the Islam problem as most politicians in EU still do, that recall the Hitler ideology that was permitted to grow by the EU leader’s unchallenged. Islam also had historically try to take over the world starting with EU and mass immigration can be even not intentionally be use. 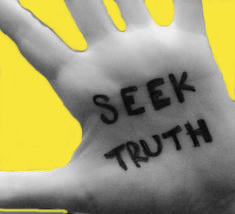 Our future is in God hand but we must at least try ask and listen to what he want. I agree Luigi that much of the solution lies with stopping the violence in countries where refugees/migrants are coming from. Certainly it is getting to the point where life as Europe knows it is going to have to stop to give way for helping those in need – sacrifice and sharing – and I do not think people are ready or prepared for that and it is their right to have a decent life their fathers, them, grandfathers etc worked for – Europe cannot help all – the solution must lie back in the countries where there are wars and devastation otherwise WWIII can well be on the horizon. The whole of our world is now no longer the same as it was.. and we have to now rethink ways of coping and sharing this burden.. No one country can sustain this influx.. Peoples attitudes have to alter too.. So many are ingrained with owner ship of what is theirs is theirs and that they are not prepared to share..
Well we may not know it.. But this is the beginning of one of the lessons we all need to address.. I hope more embrace the opportunities we are being shown and given to change our World. Love to you Ina for all you share..
Croatia is a generous country.But the refugee crises will flood Europe with the next generation of Islamic extremism.The refugees are young strong men .Where are the elders,women ,children ?? this smells like a bad catastrophe. I hope the European politician will realize this truth and wake up before the tsunami hits. Excellent post. I pray every day that Trump will not become our President. I am sure the whole world will be watching our elections. 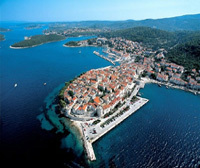 Why is Croatia not in the EU? I am very concerned about the refugees. They will keep coming while the Middle East is torn to shreds by Jihad. I welcome refugees here to America. I think that we will continue to take whoever wants to come,as long as they are not a terrorist. This is just like post-war Europe. People trying to find ways to hide from Fascists and Communists My grandfather warned me about this in the 1970’s. We have taken in and taken care of millions of refugees before and I believe we can again. Hugs, Barbara. Croatia need not be excluded. All Croatia has to do is work with the other countries along the Balkan route and coordinate with them the closure of the border. A well prepared plan of border closing can be managed effectively. With the harshest part of winter yet to come there will be a slow down in migrant flow, and with the right amount of advanced and public warning Croatia should close it’s borders to migrants and refugees before Spring. If Germany and other northern countries want these migrants so badly buy them plane tickets; like Canada is doing to bring over Syrian migrants. By closing the border all of sudden the real borders of Europe get enforced…squeaky wheel gets the oil – we just have to squeak louder than Slovenia. Better yet if compassionate Europe is so concerned about the plight of these people, then spend the money to 1) improve refugees camps to keep the migrants close to home and culture, and 2) defeat the cause of the crisis – ISIS and extreme Islam. Very important problem, the migration in Europe. Europeans contries will found they others destinations for refugees. Mark Steyn and others have been writing about this for years and few people, certainly not politicians, listened. This is the complete decline of Western civilization.